There are various brands that have been on my radar that create beauty products for women of color (WOC). I want to make a conscientious effort to support more women of color owned beauty brands because I believe in women supporting women and also I believe the efficacy of products made by a women who understands my needs as a consumer will perform better anyway. I also want to support more brands that are as clean an non toxic as possible (while not being a zealot), but clean beauty warrants a whole other post and spotlight of companies and products. Read on for info on some brands founded by WOC to try. HAIRCARE, SKINCARE, BODYCARE, Make-UP, Etc. About the Company: A natural skin and hair product market place that specializes in organic black castor oil made from Haiti. About the Company: Julian Addo who was born in Monrovia and of Ghanaian and Liberian parentage founded the beauty and haircare brand. Adowa which derives from a name designated for females originating from the akan day naming system, “adwoa” means born on a Monday. About the Company: Kaike is a fun, plant-based beauty and skincare brand founded in 2015 by Keli Smith. Kaike believes in natural, vegan, and preservative-free products that encourage a celebration of our natural beauty. About the Company: Hanahana supports the uplifting of women of color through designing and making all our products with natural ingredients. About the Company: Launched in 2014 by Monique Rodriquez, Mielle Organics creates creates natural beauty products for all hair types. About the Company: Creating products that provide a safe and nontoxic alternative in a personal care industry littered with unsafe chemicals is something Limegreen holds near and dear. Founder Talima Davis began making these products when her best friend Tamara was diagnosed with liver cancer that had spread at an accelerated rate due to environmental conditions. Talima got the name for the company by combining the nickname given to her by Tamara and the theme of natural products – Lima + Green. About the Company: Offers the most ideal hair care regimen for cleansing and protecting your scalp and natural hair while wearing protective styles. We use naturally based protective, fortifying and conditioning ingredients to promote the growth, retention and strength of the hair follicles. About the Company: Beneath Your Mask was created as a skin, body, and hair rejuvenation line designed to restore, repair, and reverse the toxic effects of environmental hazards, health challenges, stress, and the damage done from countless other unforgiving aspects of our lifestyles. About the Company: On a flight from Australia to Dubai Lauren Napier was struck with the idea that would revolutionize the makeup remover wipe and how we CLEANSE our skin! CLEANSE by LAUREN NAPIER luxury cleansing wipes are perfect for the world traveler, fitness enthusiast, freshening up or removing makeup before bed. About the Company: Challenging the beauty standard through products, inclusive imagery and pricing. Vegan and Cruelty Free. About the Company: Since 2011 Plain Jane Beauty has been an inclusive brand when it comes to the many shades of beauty. They developed 17 inclusive shades from day one. Access to effective, non-toxic beauty that matches your skin tone and skin color is important to the brand. About the Company: In 2013, Mischo Beauty was among the daring to revolutionize a highly-toxic beauty segment – nail lacquer – which has been notorious for formulas chockfull of synthetic chemicals and endocrine disruptors. 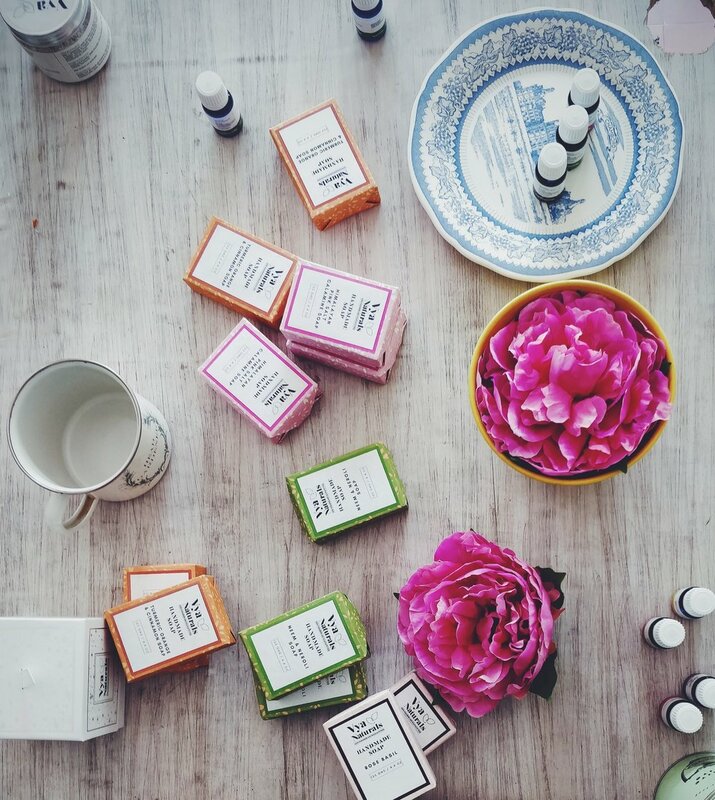 About the Company: HI Wildflower Botanica is a botanical library of the founder, Tanwi Nandini Islam's olfactory experiences and healing formulations that combine exquisite natural ingredients with herbalism + Ayurvedic knowledge. About the Company: Golde was founded by Trinity Mouzon in 2016 with the vision of making self-care more inclusive, engaging, and fun. Our products are infused with single-origin turmeric, a potent super-herb recognized for its beautifying, healing, and mood-boosting properties.